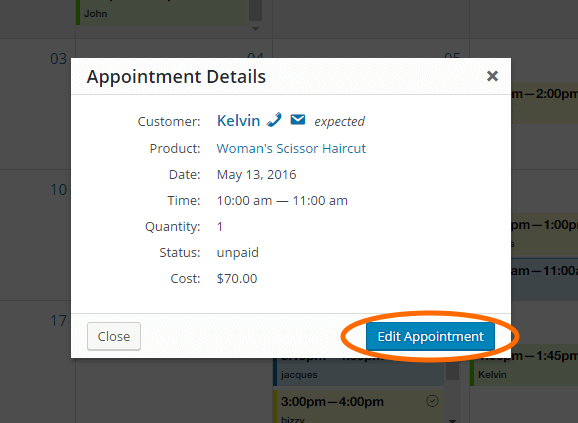 Managing appointments has always been simple with WooCommerce Appointments plugin. With the latest plugin update, process of managing your appointments has become even easier and you admin calendar looks better than ever. This is a followup to previous update that laid ground for further improvements you can see now, more to come soon – follow us on Twitter for the updates. You can now link a color to each appointable product, so you can faster recognize the appointable product / service on the calendar. 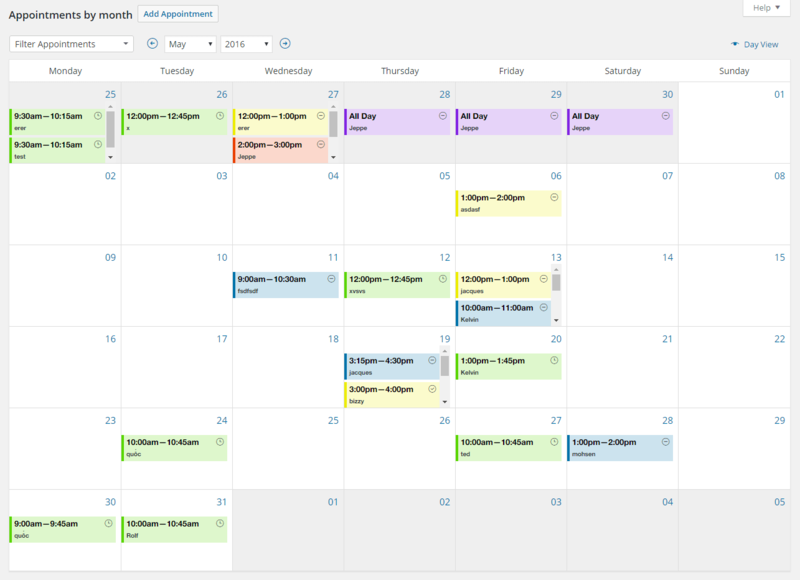 Generally, you see appointment color, status, date/time and customer name, when viewing the calendar with your appointments. Once you click on the appointment, all the details will be displayed. You can then click to edit appointment details or visit customer details page.